Vase filler. Rapana Rapiformis D: 2"- 3" (Natural Brown) Discounts Apply ! 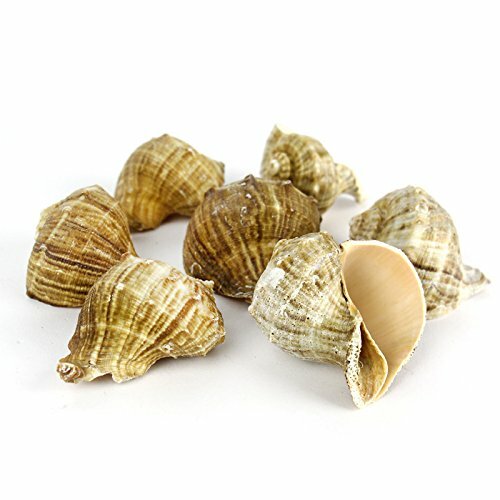 This Rapana Spiral Sea Shells is stunning with its elegant light brown amber color. This is a larger conch shells that works great for home decoration. It's perfect for your beach wedding, crafts or home decoration. Easy to use, great for craft, or to be used to fill with air plant. These shells will perfectly bring the essense of the ocean to your decor. The scientific name of this shell is Rapana Rapiformis. Number of pieces show in photos for reference only.